Elevation gain – 159 metres. 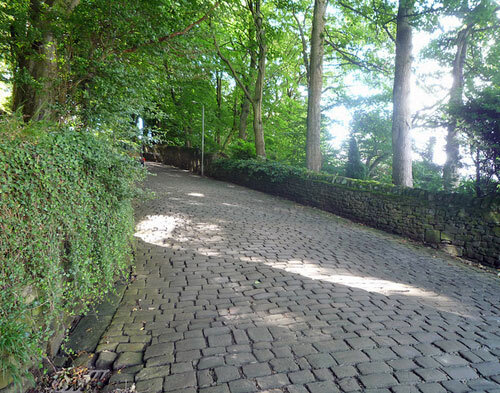 Related climb: Thwaites Brow – another steep cobbled climb. Features in the Hell of the Worth. 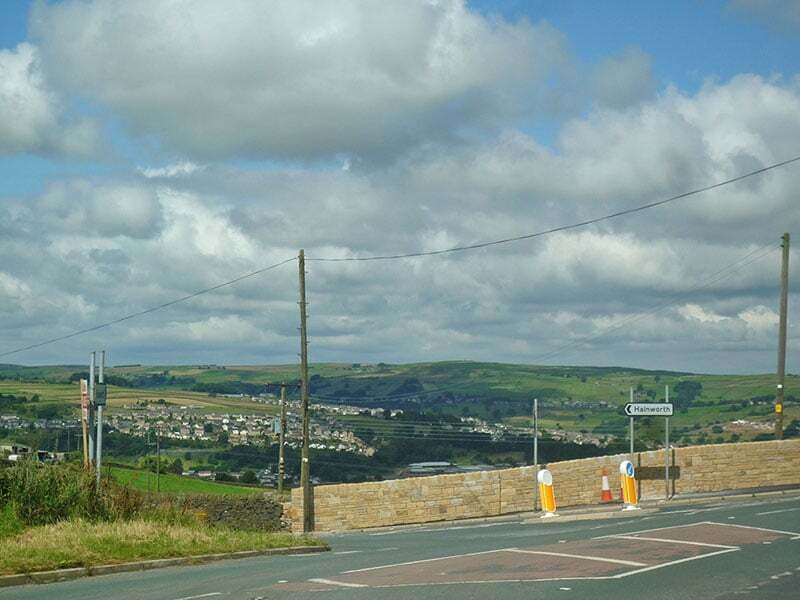 Hainworth Lane is a cobbled climb from the village of Ingrow, two miles south of Keighley. It is from the base of the River Worth. The climb is hardest from the bottom. After 200m, the tarmac road gives way to cobbles, but the gradient continues the same steepness of 17%. The good news is that the cobbles are in reasonable shape. Not too bumpy, and it never gets ridiculously taxing (like the nearby Thwaites Brow). But, cobbled climbs always take extra effort, and this is no exception. Finally, the cobbles give way to a normal road surface, and by contrast the last 200 m, it is a nice gentle grind to the top of the hill – with great views of the Worth Valley. I have done the climb a couple of times. It is quite good. View from the top. 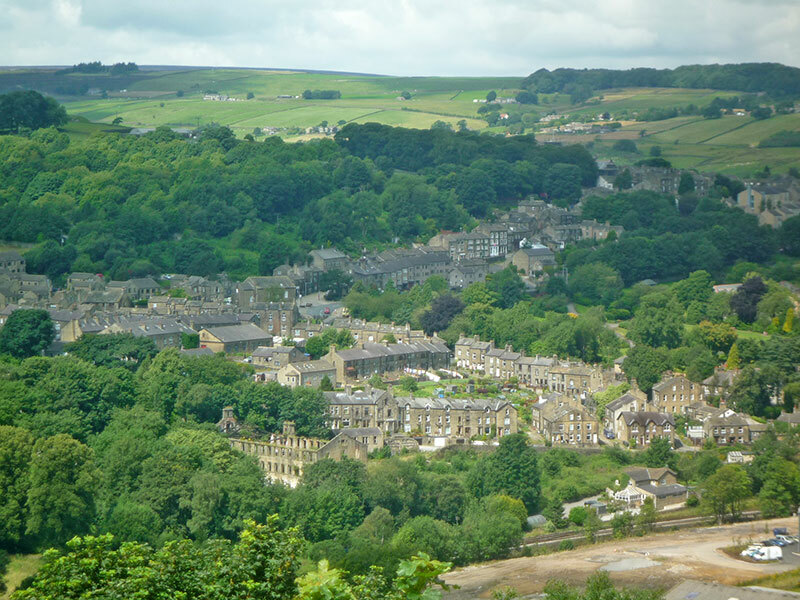 You can just about make out the single track Keighley and Worth Valley railway and a disused mill.